This post originally appeared at On Faith. After a long election season in which it seemed that religion, for once, wasn’t the big story, we found out that eight out of 10 white born-again evangelical Christians voted for Donald Trump. The results have left some evangelicals distancing themselves from the faith, or at least the name. Indeed, one of the long-term fall-outs from the election is that even more millennials may see institutional religion as nothing more than a thinly disguised expression of class, racial and religious bias. Recent history has been difficult for religion in America. Religious disaffiliation is at a high and growing, with a quarter of adults saying they do not identify with a religion. With the election, 2016 may be a bad year for religion. And yet, as our country prepares for the presidency of someone who shows little understanding or respect for the First Amendment, my hope lies in a new alignment of religious and non-religious people. 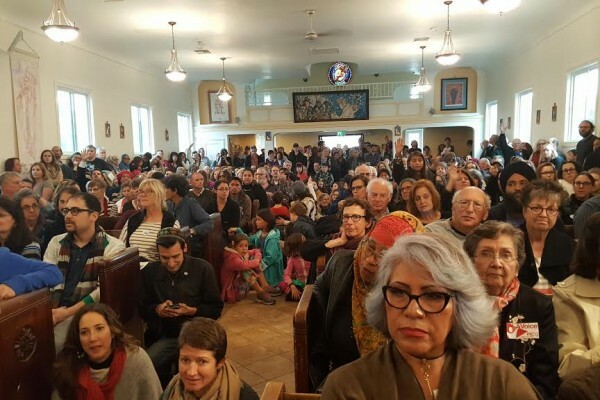 On the Sunday before Thanksgiving, hundreds gathered at a standing-room-only vigil at Dolores Mission Catholic church near downtown Los Angeles, organized by community organizing group L.A. Voice, Muslim Public Affairs Council and 28 L.A. area faith and civic groups. They convened speakers from several Jewish Temples, a Japanese woman who had 12 family members imprisoned at Manzanar after the bombing of Pearl Harbor, a Sikh, African Americans, the pastor of a Skid Row church, and members of my own Episcopal church in Pasadena. It was one of 10 similar events held throughout the country. Coalitions are difficult to build, but the trauma of the recent election could bring together people that normally are separated by skin color, religious histories or even commitment to institutional religion at all. Many leaders and communities have participated in interreligious dialogue for years. Indeed, relationships formed over the years lay the groundwork for significant partnerships, such as the historic alliance formed between the American Jewish Committee and the Islamic Society of North America shortly after the election. But rather than large-scale national coalitions, it’s critical today that people gather at a local level to address concrete needs in their city. Since studying faith groups’ role in rebuilding Los Angeles after the 1992 uprising, I’ve seen the tremendous impact religious people can have on their local communities. And since that time, the federal government has become increasingly open to working with diverse groups to address social needs. Under the new administration, however, “faith-based partnerships” will likely reflect the cronyism of Trump’s appointments, a nod to the white evangelicals who elected him. Meanwhile, the needs will become even greater. In this new era, people of various colors and faith traditions will need to meet to confront the challenges of families without healthcare, children left behind because their parents were deported, and inflammatory and incendiary acts of violence against non-white and non-Christian peoples. Among the motley collection of Hispanic Catholics, African Americans, Jews, Muslims and even progressive Protestants like myself, there are significant differences, particularly on views of homosexuality. But our concern for the marginalized, the outcast, and the oppressed can unite us. Why? Because many of us have experienced prejudice and discrimination. We cannot exclude evangelicals from this new religious alignment, since they are not a monolithic group. Prior to the election, hundreds of evangelical leaders signed a “Declaration” concerning Donald Trump which stated that “racial justice and reconciliation is at the core of the message of Jesus.” Students from Liberty University protested their president’s unqualified support of Donald Trump. And there are many younger evangelicals who attend interracial churches that regularly serve food to the homeless, embrace people of all sexual orientations, and put love, not hate, at the center of their Christian commitment. We must stand by them while they strive to reclaim or redefine evangelicalism. Perhaps more challenging will be engaging those who have disaffiliated from religious organizations, simply because they turn away from institutions. Yet, many “nones” share the same values as religious groups seeking to care for their neighbors. Indeed, our research on this group has seen a shift from the angry atheism of Christopher Hitchens to the softer humanism of Sunday Assembly, the “church” for atheists. The American Humanists Association, for instance, recently joined Catholic sisters and Jewish and Muslim activists in showing support for the Native American water protectors at Standing Rock. 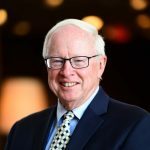 In order to effectively meet the greater needs coming, we must resurrect transcendent values that bind us together and bring religious “nones” to the table with people who claim deep religious roots. The point of commonality is not the artifice of religious institutions. The alternative to collective action on behalf of the poor and vulnerable is to withdraw politically, nurture a few marijuana plants in your garden, and wait four years for another election. Yes, deep-seated reflection is in order, and I don’t underestimate the psychological trauma that many people are experiencing as a result of the election. But trauma is best faced through engagement, not retreat, as I have personally witnessed doing research in post-genocide Rwanda. Healing occurs better in community than in isolation. I believe transcendent values will emerge as people roll up their sleeves and work together to confront the challenges that inevitably occur as many of the policies of the last eight years are deconstructed. Perhaps a new moral vocabulary can emerge as people of different faith traditions work together with people who disavow institutional religion. As a person of faith, I need not be optimistic, but I must have hope—that is our moral duty. At one level, the religious mandate has not changed since the election. As the Hebrew prophets said, it is our duty to work for justice for the poor, orphans, widows and “strangers”—the immigrants in our midst.